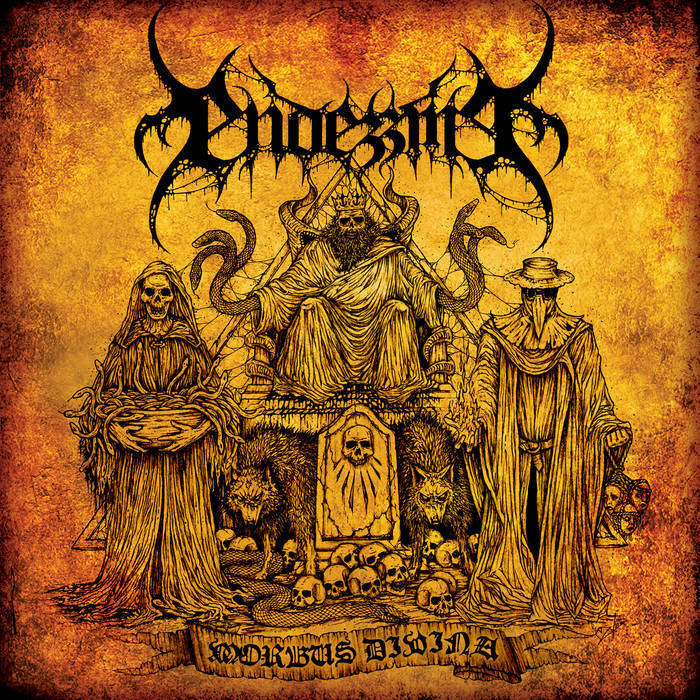 Home › • ENDEZZMA - Morbus Divina 7"
• ENDEZZMA - Morbus Divina 7"
Norwegian hellish-horde ENDEZZMA returns with a two track EP entitled "Morbus Divina", an introduction for what is to come anno 2017 with the group&apos;s upcoming sophomore record "The Arcane Abyss". With the track &apos;Black Tempest&apos; composed by the late Urgehal frontman Trondr Nefas in addition to the drums performed by ex-Beastcraft bass player / ex-Tsjuder drummer Desecrator and also showcasing a new track &apos;Morbus Divina&apos;, taken off from the new album "The Arcane Order", the 7" EP will be a limited run of 500 copies worldwide, with 300 copies on Black vinyl, 100 copies on Transparent Yellow vinyl and 100 copies on Transparent Red vinyl. Recorded, mixed and produced by Lars F Froyslie and Fredrik Johannesson at Malphas, with mastering duties by Tore Stjerna at Necromorbus Studio (Watain, Repugnant, Tribulation, etc) and features the haunting artwork by Geros Ramavounis aka Remember The Fallen Artworks (Front Beast, Svartfell, Corrosive Carcass, etc).